This week the New York Times talks about the rising costs of providing hospice care in America with a particularly juicy hook about a nearly $25 million whistle-blower settlement against an Alabama hospice. From there it talks about the focus of some hospices to seek patients who are likely to have longer lengths of stay, like dementia and stroke. One research analyst even goes as far to say "It's a lucrative business, at least under the current reimbursement system." They also feature an inspector general report that documentation for hospice patients in nursing homes was lacking. But the article leaves out a lot and I feel it is pretty one-sided. Apparently Don Schumacher, head of the NHPCO, has found some flaws in the article too as he is communicating with the NYT editorial board. There is relatively little about potential changes to the payment structure to focus greater reimbursement during the first 7 and last 7 days of service when need is thought to be the greatest. The article does not talk about or reference the article by another NYT reporter from 2007 with the title "In Hospice Care, Longer Lives Mean Money Lost" about the aggregate cap. Nor did it quote the Duke Study that found hospice care saved Medicare an average of $2,300 per beneficiary (OPEN ACCESS PDF), calling hospice “a rare situation whereby something that improves quality of life also appears to reduce costs.” Yeah, they missed some stuff. Which is not to say we need to look closely at fraud issues. Good oversight is important for a multi-billion part of the health care system, but we have to realize that every problem started out as the solution to another problem. The system is perfectly designed for the outcomes it gets. 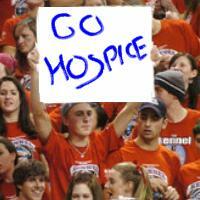 So let your legislators know about what hospice means to you. Talk to your organizations and actually answer the advocacy emails that moment instead of promising to get back to them later. 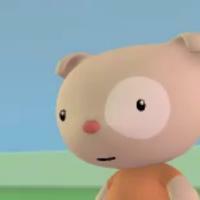 The Happy Hospitalist, a long time blogger and purveyor of fine absurdist humor with the creation of multiple 'animated bear' videos (aka Xtranormal videos) has created a video focused on the dying patient in the intensive care unit...but not really. Not really in the fact the video is not patient-centered at all, and that is the point. HH skewers the system that so readily places orders for tests, scans and procedures before even talking or touching the patient. For anyone in hospital based palliative care I am sure there are many witnessed experiences in the self-declared hyperbole of the video. "His functional score is -2, which means death within minutes." "'Everyone deserves to die with a normal BMP." "I'm taking care of him...but not really." Did Hospice Have the Biggest Impact on American Health Care? Many of you have probably heard in the past 2 months about the Modern Healthcare 35th Anniversary "Big Impact" Tournament from other hospice advocates imploring you to vote. I have advocated for it on Facebook and Twitter, but until now I had not really thought it important enough to dedicate a blog post on the subject. Frankly what does winning this online tournament mean? Clearly there is no prize money and if there was you would get your cut after me. So is this about bragging rights? Who would we regale with our great stories about besting Patient Safety Advocacy in the second round? I think these are important questions that go beyond winning a popularity contest. If hospice champions and the everyday hospice professionals feel we are the most important innovation in the past 35 years, why in the world doesn't it feel that way when daily, we still have to overcome stigmas and mis-information about hospice care? I realize I am asking more questions than answering but this supposedly playful tournament now has me thinking about the bigger stakes now that we have gotten this far for whatever that is worth. I'm not sure I will impress or convince anyone about the value of hospice when I tell them 'hospice care' won an online tournament of 64 different influential forces in American Health Care over the past 35 years. Heck we were even seeded 12th in the Innovations bracket! So hopefully someone will tell me to relax it really means nothing, so I can stop asking questions that are really hard to answer. But truthfully, I want this to mean something. But it needs to mean more than a silly online tournament of health care wonks and Facebook fans voting for the sentimental favorite. If people really believe hospice care is the part of our health care system that has the biggest impact, then let's have something bigger to show for it. Let's go purple and green! We got the winning team! H-O-S-P-I-C-E - What does that spell? * Yes they will ask for your email. What they do with it I can't say since it is not clear from the site. You can vote once per day. Feel free to send to your staff and post on your hospice and personal Facebook pages as well as Twitter. Voting closes June 24th. Winner announced July 25th. 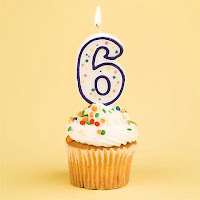 Congratulations to GeriPal on Two Year Blogiversary! A hearty congratulations to Eric Widera and Alex Smith and the rest of the GeriPal team for reaching their two year milestone. They have created a wonderful site where geriatrics and palliative care are discussed passionately and their reach is extending the field. GeriPal has become a major influence in just two short years because of hard work and their dedication. Kudos to GeriPal! Find them wherever you like to live on the web: Facebook, Twitter or their blog. HT: @LVADone on Twitter. I got wind of this article from one of his tweets. In this month's issue of the Mayo Clinic Proceedings is the first article reporting on a case series with inclusion of palliative medicine (PM) consultations as a routine, integrated part of pre-op or early post-op care for patients receiving ventricular assist device (VAD) as destination therapy (DT). Both Drew and Holly have posted previously on Pallimed about VAD DT. The Mayo Clinic is a nationally and internationally recognized tertiary and quaternary referral center. As such, beyond the ordinarily sick patients, the Mayo Clinic treats some extremely sick patients, patients who come to be cured, as well as patients who are a mixture of both. The Mayo Clinic recently performed its 100th heart translpant, and they having been implanting VADs as both bridge therapy and as DT. As such, they offer sub-sub-specialty training in Mechanical Circulatory Support and Cardiac Transplantation. Problematic situations and ethical quandries arise in these environments, given the complexity of the patients, the psycho-social stresses on patients and family members, the array of complications as well the spectrum of outcomes, including "destination nowhere," – a functioning VAD in an otherwise moribund patient. In response, a process of interdisciplinary dialogue at the Mayo Clinic concluded that it would be beneficial to offer PM consultations as a part of standard multidiscipinary care of these patients. In this consecutive case series, 19 VAD implantations were performed, over a 50-week period. 13 patients (68%) received PM consultations, consisting of an initial intervention of a psychosocial evaluation by a social worker as well as a review of goals of care and advance care plans with PM clinicians, with post-op follow-up. Most PM consultations were proactive and pre-op. The advantage of proactive PM consultations in having already established familiarity and rapport among the patient, family and the PM team was highlighted. The case series is summarized with patient characteristics, PM consultation status, survival and assessment of end-of-life trajectory. During this period, 5 of these patients died, of which 4 had had PM consultations, 3 had completed a pre-VAD advanced directive. 6 illustrative cases are discussed. The writers do a nice job of describing their extensive advance care planning process unique to this patient population. They refer to this product as their "preparedness plan," which goes well above and beyond traditional advance directives. The preparedness plan assisted patients and families in thinking about goals and expectations, post-op rehabilitation, psychosocial, spiritual/religious and financial considerations, caregiving concerns, QOL determinants, complications specific to VAD and DT, perioperative morbidity and mortality and ethical issues that may affect clinical DT outcomes. When adverse events occurred, the PM team assisted with preparedness plan implementation, symptom management, and family- and patient-centered support. I noticed that as the series progressed there appeared to be emerging trends of decreasing frequency of PM consultations, more post-op PM consultations, and decreasing frequency of pre-VAD advanced directives (presumably the patients lacking a PM consultation also lacked the more thorough and arguably more useful, personalized preparedness plan). The post-op mortality improved as the series progressed as well. Previous to this endeavor no DT patients at Mayo received proactive PM consultations, and only 14% received any PM consultation whatsoever. This is a small sample and the signal-to-noise ratio is high. Nonetheless the pattern made me wonder if this represents post-conversion, systemic back-sliding/falling-off-the-wagon, although this is expressly not reflected in the discussion. For discussion sake, I have seen team members and team leadership variously disinclined from parceling out slices of patient care to outsiders. Such teams seem inclined towards jettisoning outside support earlier rather than later in the practice development curve. 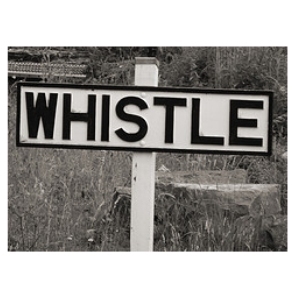 Sometimes I have seen such jettisoning at the merest blush of the team demonstrating basic competence, at a minimal level of performance, as if going solo were the overriding goal, versus the goal being optimizing outcomes and processes. As has been noted on Pallimed repeatedly, if primary teams can make the necessary time available, and have the multi-disciplinary resources, expertise and communication skills on their team then there's no need for a PM consult. But, I think that such is rare, and complicated care with complicated patients takes organizational specialization and delegation, plus a willingness not to do it all. Any thoughts or experience from the trenches? "If I've got 6 months to live, I want to know so I can party"
Journal of Supportive Oncology recently published the results of a pilot trial of an evidence-based decision aid for patients with metastatic cancer (free full-text available here, as always with JSO papers). This was a small, single cancer center study of 27 patients with metastatic solid tumors (mean age 63 years, 56% African American, with a mixture of metastatic breast, colon, lung, and hormone refractory prostate cancers). All patients at the center (it's not clear how the patients were identified - if this was a consecutive vs a convenience sample, etc.) 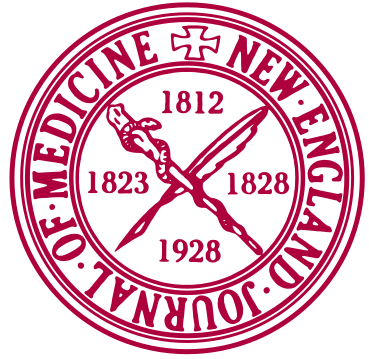 who were potentially eligible were referred to the study after approval of their oncologist. The primary oncologist or oncology nurse could decline allowing the patient being enrolled due to concerns the patient would have 'great emotional difficulty' if they received straight-forward prognostic information. While they note they didn't measure this, they estimated about 10% of eligible patients were not approached at the request of their oncologist. Patients were introduced to the study, and given screening questions about whether they actually wanted to hear full prognostic information (1/27 declined full information - they note that patient started the aid then stopped it) and a 'pretest' to determine their current estimations of having a chance of cure and treatment outcomes specific to their type of cancer. They were then administered the decision aid and their knowledge about chances of cure and estimation of the effect of treatment was measured again. Hopefulness was measured before and afterwards on a hope scale. And yes, thankfully, this was IRB approved. 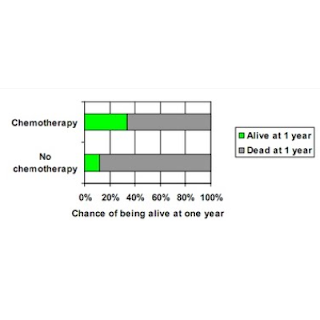 [2nd line chemotherapy] improves the chance of being alive at 1 year by 18 out of a 100 people. 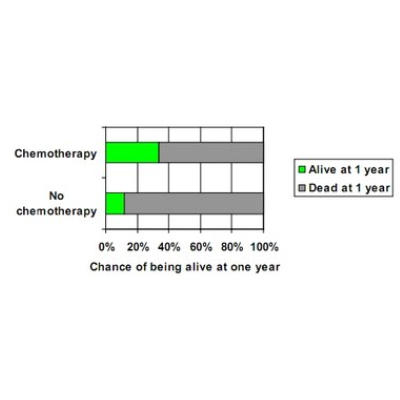 With chemotherapy, 37 of 100 people were alive at one year. Without chemotherapy, 11 of 100 were alive. ...In this setting, there is no chance of cure. It also gives information about side effects, effects on pain and quality of life, and suggestions patients should address advance directives, code status, values and care goals. The image above is an example from the lung cancer aid. All patients said they wanted full information (as above, one stopped mid-intervention; they note that that patient's hopefulness did not change). Patients overwhelmingly overestimated the chances of cure of a patient with metastatic cancer (which, for the type of cancers discussed, which all the patients had, was zero): 52% (only 41% indicated accurately that their cancer was incurable). Patients grossly overestimated their chances of the cancer shrinking by half, as well as estimated survival (2/3 initially said over 3 years). The decision aid itself had some impact (the numbers here are too small to measure statistical significance): most strongly in patient's understanding that their cancer is not curable (it went down to 30% after the intervention). Generally, the group's time-based estimations became shorter (=more accurate) by a little. Other misconceptions (chance of the cancer shrinking by half with chemotherapy, chance of cancer symptoms being improved) didn't seem to change with the intervention: they remained over-optimistic. Both objectively (by the hope index) and subjectively (by the researcher's anecdotal reports), patients were not distressed, upset, and did not 'lose hope' by being told accurate prognostic information. This is not to say that all patients were all smiles and peaches about the news. The paper gives sampling of patients comments about the intervention, which are illuminating. Many seemed grateful or neutral (already knew it). Many seemed to acknowledge they were told prognoses that were shorter than what they were anticipating but were perfectly happy to ignore that information, and assume it doesn't apply to them ("There were some things I didn't know - I didn't know about the 1-2 years - I'm not going to accept it though - I'm planning on more.") A few seemed upset ("...it's a bummer") - after all they were given upsetting news - but as before this did not translate into changes in the hope index, etc. And, of course, one expressed gratitude for gaining knowledge which will help them plan the timing of When To Party. 25 patients indicated afterwards they thought the information was helpful. This is further (Do we need more? Yes I think so!) data supporting the long-held wisdom that we (clinicians, docs) generally have little power to take away hope from our patients, at least via sharing knowledge, information with our patients about what we expect. It's really, really tough to do. Hope, like religious faith, doesn't spring from a sober assessment of one's material being and surroundings. These patients were given flat out frank information: 'no chance of cure' and 30% of them came out of there counting on one nonetheless. Anyway: let's beat the drum that routine, straight-forward prognostic disclosure should be the standard of care for all patients with advanced illness. That point, plus, gee whiz, it's tough to get patients to understand what seems like very straight-forward information. Never, ever, underestimate one's ability to mystify and fail to communicate effectively with our patients. I've been a grown up palliative doc for 5 years now and still impress myself with my ability to mystify my patients. So much so that I've begun to stop considering that some sort of 'screw up' and instead just assume it's happening and endeavor to double, triple check things which I think are particularly important. Part of this makes me wonder what really matters - what should our outcome be because accurate numeric understanding is probably unobtainable for a substantial minority of our patients - should we care about this? Ignoring patient characteristics (of which we have no control), what is it we say, do, share, disclose, don't disclose, etc with our patients which actually improves the quality of their care and the sanity of their medical decision making? Data, and patient knowledge are some part of this (and clearly there is a wide and measurable gap there), but of course so are other things - relationship/trust, clinician willingness to not recommend treatments unlikely to benefit a patient. Maybe it's patient belief about what will happen to them, and, like hope, we may have so little control over that. Maybe of course it's variable, individual, and fluctuates over time, and a young doc's desire to Understand These Things Systematically needs to yield to the wisdom of sitting at the bedside, and listening to an individual patient's story. I meant that, but nonetheless I'll move on from my embarrassing attempts to sound wise and ask - does anyone know of another study which involves, as part of the intervention, effectively telling patients who think they can get cured that their cancer is incurable? I'm not concluding there haven't been other studies which do this, I just can't think of any. Is this a milestone or been done before? I know some of the authors of the study read the blog, so if you read this guys, let us know in the comments if this was at all challenging with the IRB or not. The Coping With Cancer Study very studiously did not disclose prognostic information to patients per their protocol (as best I understand it): patient's prognostic understanding was measured however. One of the important reasons to do this sort of pilot intervention as publishable research, not just a QI project, is to demonstrate in the pilot setting that this sort of intervention is safe. The safety data from this, and hopefully follow-up studies, plus the 'effectiveness data' from the CWCS (ie prognostic awareness** is associated with improved EOL & bereavement outcomes) could be used to argue for a larger trial of prognostic disclosure in cancer patients. **That's an oversimplification of what the CWCS was measuring, but now is not the time to belabor that. 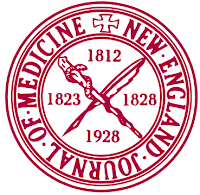 Last year, about this time, the New England Journal of Medicine (NEJM) rocked the world of Oncologists and Palliative Care Specialists, publishing an article about how early palliative care interventions not only add to quality of life, but also length of life. This year, NEJM published an equally provocative piece, a "Sounding Board" article that addresses the need to curve the cost of cancer care. 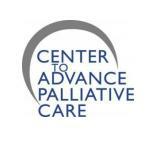 Get ready Palliative Care colleagues to respond once again. The anticipated growth in cost of cancer care is hard to fathom: rising from $104 billion in 2006, to possibly $173 billion in 2020. That is more than many countries entire GDP - (Indonesia's GDP is $174 billion, Thailand's is $132 billion.) To prevent bankrupting the US healthcare system, Oncologists will face the challenge of how to curve this cost curve while still providing optimal care for their patients. Palliative Care is sure to play a major role in this shift. Consider chemotherapy only for patients with high performance status (a-la-ECOG approach) - of course, with exceptions for patients with untreated, highly chemo-sensative disease, or with poor performance due to unrelated issues. When chemotherapy success is unlikely, symptom directed care (i.e. Palliative Care) should be provided. In other words, when cancer progresses despite three consecutive chemotherapy regimens, except for patients wishing to enroll in clinical trials, therapeutic intervention should shift to symptom-directed, non-chemotherapy care (aka Palliative Care Team). Have end-of-life discussions earlier - even though they are hard. Data now shows that while these discussions lead to a decrease the patients' severity of depression and anxiety, fewer ventilator-dependent deaths, and decreased aggressiveness of care, they also improves the health and well-being of surviving caregivers. Go figure, these conversations have a role in preventing illness and promoting health (in survivors). Despite this, in a recent study, few patients admitted to hospital with a cancer diagnosis had a discussion about advanced care planning or how they wished to be cared for at the end of life. Less than half of patients had discussed hospice with their physicians two months prior to their death. 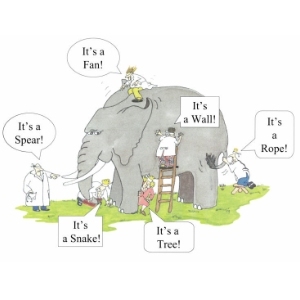 Expectations of outcomes need to be more realistic for patient and physician alike. We have known the data of how physicians as a whole are overly optimistic when it comes to prognostication. Well, because information is obtained from their physicians, patients tend to be as well. This influences decision-making and has implications for the quality of informed consent. After all, if I were to believe that an intervention had a chance of curing me, when in fact it may simply add some weeks or perhaps months, would my decision to forgo time with family and friends for hospitalizations and the hope for a cure change? The article suggests that many oncologists lack the skills of assessing prognosis and negotiating transitions of care from curative chemotherapy to palliative non-chemotherapy. Palliative care clinicians may be taking an increased role in facilitating these conversations and training the next generation of oncologists in these conversations. Compensation for cognitive services needs to be valued more, as compared with chemotherapy. Our current system now relies on over 50% of oncology compensation supported by chemotherapy sales. The current system does not adequately reimburse oncologists for some of their most important work: referrals to clinical trials, counseling about advanced-care-planning and code status, and other patient-centered and patient/family-valued work that is time-consuming. Innovations in healthcare delivery models to shift this paradigm may help sustain the workforce and improve patient care. Earlier and more thorough integration of palliative care into the overall cancer care is needed. As the author's so aptly put it, "Improved coordination of care that lets patients choose their course while not requiring an artificial switch from usual care to hospice will be a triple win: better quality and quantity of life plus meaningful cost savings." The need for cost-effectiveness studies as new drugs are rolled out. So, how are we going to respond? What practice changes are you implementing or planning to implement? From my perspective, these suggestions may help define practice guidelines for when and how to integrate palliative care, perhaps with automated referrals or integration of assessment into multi-disciplinary clinics for patients with metastatic solid tumors. I agree with the authors' statement that more fluid and early integration with eliminate the either-or mentality, the fear of abandonment, and eliminate the notion of "death panels." Instead, the often tainted name of our specialty may take on a new meaning, one of coordinated, concomitant care, that assures shared decision-making and good symptom management. I for one, hope that this important essay influences the role that palliative care should take in the future of quality care, ACOs, and the healthcare debate. 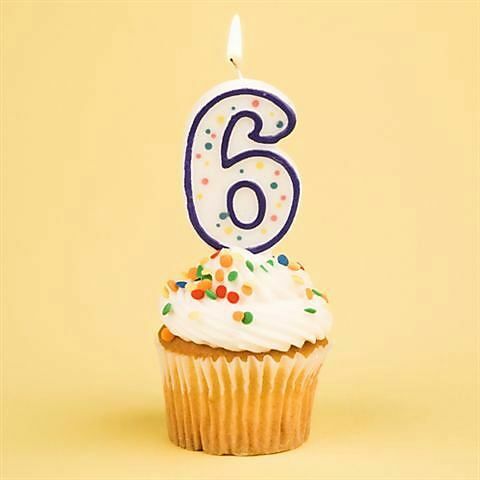 Today is the 6th anniversary of Pallimed and while we had a great beginning of the year you may have noticed that it has been pretty quiet around here lately. You do not have to worry, we are not going away, but I think all of us here were keeping busy in so many other parts of our lives that Pallimed took a bit of a back seat to other priorities. Finding balance is something we try to help our patients and families acheive and of course self-care is something we stress to our peers and trainees as well. The good news: in the month off, the hospice and palliative medicine world of blogs and social media did just fine. So we are glad to be in a cultural ecosystem that allows for these breaks every once in a while. In fact now that we are back from our unannounced hiatus, I want to challenge you to fire up that old blog or Twitter account and get back on the horse. You might have taken a break too, but now you can get back in the game, because we need you, your field needs you. The more we talk openly in public about the complexities faced by our patients, the quality research advancing care, and the humanity within our everyday tasks, the stronger our field will become. Keep the comments coming to all the great blogs out there. If you know how to Tweet teach someone else to do it. Look out for an announcement from Pallimed next week on a new initiative. 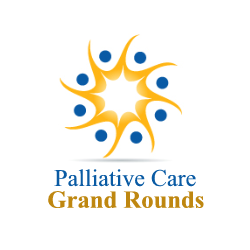 Palliative Care Grand Rounds is back after a brief hiatus. Thanks to last month's host Tim Cousounis for restarting PCGR with a bang. 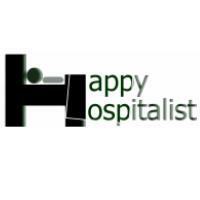 Let's jump right into the best of the blogs featuring hospice and palliative care from the last month. So my family members asked physicians they knew the same question and reported back to me that a cardiologist, a neurologist, and an internist had said that my father should not be experiencing any confusion after surgery and therefore he must have dementia. This came as a complete surprise to me, as I just assumed that all health care professionals, especially those who work with older people, would know what I knew. From this post I found out there is a brand new group looking at this issue in more detail, the American Delirium Society. Can you believe it? This is one symptom that needs more attention and I am so glad to hear this. They just finished up their first conference this week. 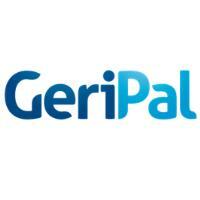 GeriPal was on fire in may with some great posts. Alex Smith with 'Your Tax Dollars Are Being Wasted by Medicare' makes a compelling argument why talking about the role of money in our health care system needs to be part of a larger discussion. I also enjoyed Eric Widera's post on choosing between two different specialties, in his case Geriatrics and Palliative Care. Well at least we know what happens when those two get together, you get GeriPal and we all like that! Empathy or the ability to appreciate someone else’s emotions and express this emotional awareness is a capacity that differs amongst individuals. It’s clear that doctors who can communicate well with patients will be more effective. Communication is an important competence educated during med school. This is mostly about etiquette instead of empathy. And here is a bonus from Dr Shock: the video 'Beards and Bow Ties.' I'm thinking we might need something like this for hospice and palliative care. Reading the comments you can see even something like this is controversial. Garr Reynolds is well-known in speaking and presentation circles for his books like Presentation Zen. (NB: all people who present at conferences can benefit from reading his books. Please. No more boring slides. Please.) He recently wrote about the importance of Grandmothers in his post "The Eternal Power of Relationships" There is much in this post any palliative care advocate would like and probably find something to take away with them. And one of them has to do with a Japanese song called "Toilet Goddess." You should read the English lyrics. Civil rights IS an issue for organizations that support the grieving. Gay families are families. I challenge organizations that support grieving people to accept love and families of all stripes and to STATE their non-discrimination policies up front. Because sad as it is, you can lose a partner and STILL get turned away from free, peer-based support, and you can make that call without ANY idea how you'll be received. Now here is a post that should spark your imagination for some research studies and maybe feedback to trainees. The Talk-o-Meter iPhone app that measures how much each person in a two-person conversation is talking. (via GOOD magazine) I'm thinking it could be helpful in IDT if it could track multiple voices. Speak up chaplain! 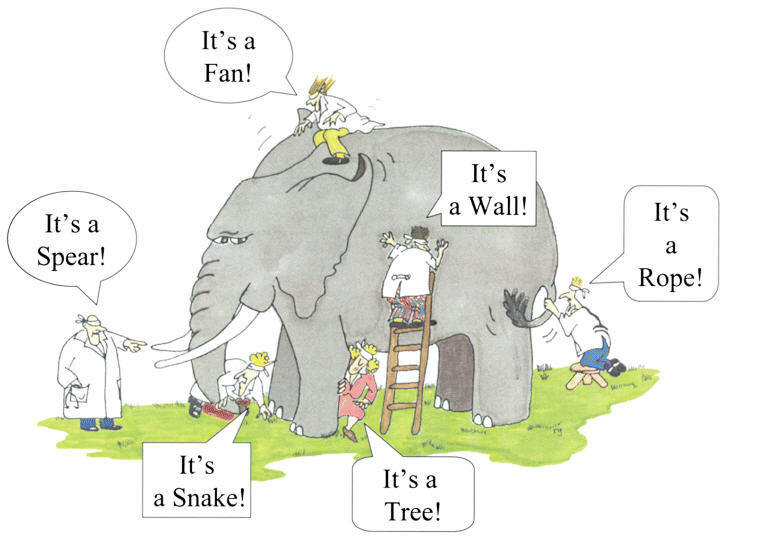 What is the role of scientist in explaining research to the public? What are the barriers to communicating this well? How does one read a scientific paper? And why should we all understand statistics a little bit better? Why don't professional media outlets rarely cite the author or journal or title of articles they quote? Why should you never draw your conclusions solely from the tables and figures of a paper? Now listen: most non-scientists see a table like this and freak out. They take around 3 seconds to decide they can’t understand it, get scared of feeling stupid in the face of all those numbers, and so they calm down by skipping over it and back to the words. Scientists have a huge advantage over their non-scientist friends on this front: they don’t expect to understand this table in three seconds. Or even three minutes. They look at it the way a piano player might look at a Bach score, or an art lover might look at the Mona Lisa.